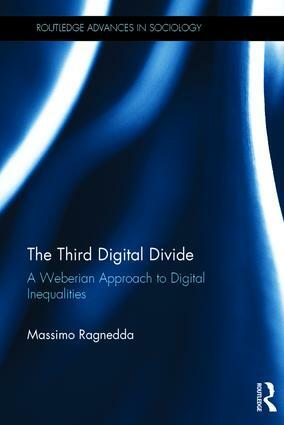 Drawing on the thought of Max Weber, in particular his theory of stratification, this book engages with the question of whether the digital divide simply extends traditional forms of inequality, or whether it also includes new forms of social exclusion, or perhaps manifests counter-trends that alleviate traditional inequalities whilst constituting new modalities of inequality. With attention to the manner in which social stratification in the digital age is reproduced and transformed online, the author develops an account of stratification as it exists in the digital sphere, advancing the position that, just as in the social sphere, inequalities in the online world go beyond the economic elements of inequality. As such, study of the digital divide should focus not simply on class dynamics or economic matters, but cultural aspects - such as status or prestige - and political aspects - such as group affiliations. Demonstrating the enduring relevance of Weber’s distinctions with regard to social inequality, The Third Digital Divide: A Weberian approach to rethinking digital inequalities explores the ways in which online activities and digital skills vary according to crucial sociological dimensions, explaining these in concrete terms in relation to the dynamics of social class, social status and power. As such, it will be of interest to social scientists with interests in sociological theory, the sociology of science and technology, and inequality and the digital divide.